NEW YORK TIMES BESTSELLER—soon to be an HBO limited series starring Ben Mendelsohn! "A juicy tale that plays at the forefront of our current phobias... [The Outsider] will remind readers of King's early novel It." "Here’s to mutant rats in the basement and Mexican myths; here’s to the strange and to Stephen King. Still inspiring." 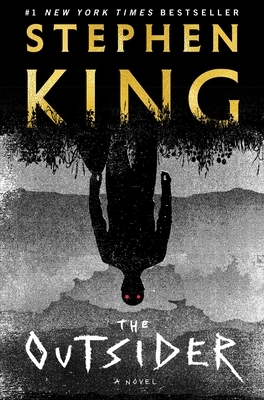 “The Outsider is yet another outstanding offering from Stephen King, a darkly engaging ride of a read that demonstrates once again that despite a decades-spanning career, he’s still performing at the height of his powers." "The Outsider is, in many ways, an ideal combination of classic King supernatural terror and his more contemporary foray into crime writing, wedding an intricately plotted whodunit with a monster tale that has more than a few shades of It...one of King’s strongest books in the past decade; an enjoyable dovetailing of crime and supernatural horror that will please Constant Readers and newcomers alike."